Situated in the Hosaholalu, Lakshminarayana Temple, an exquisite architecture belongs to Hoysalas of 13th century. The temple is dedicated to Lord Vishnu and it has three domes (Vimana). There are two projections which over hangs from roof. Upper most eaves support the Vimana whereas the second one extends around the wall with sculptures depicting Hindu Gods, their consorts and their attendants, especially Lord Vishnu. You can see nearly 120 Lord Vishnu sculptures carved on the walls of the temple. As per Hoysalas style, the temple is raised over a platform. 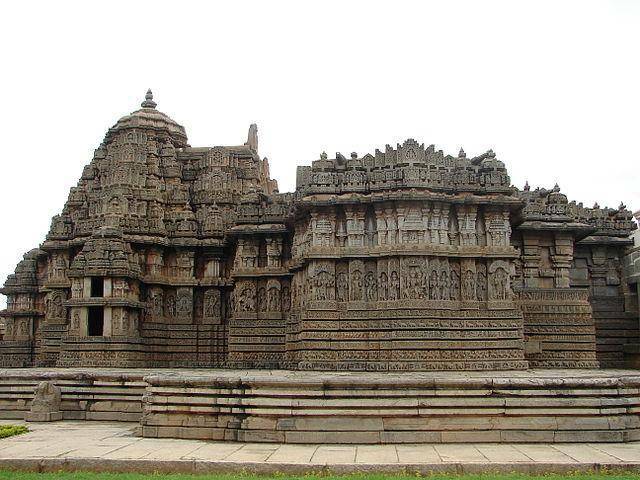 Don’t miss this astonishing monument of the Hoysalas architecture.